Charlton Athletic is a football club from south-east London. Their best result in the top division is a second place in 1937. They won the FA Cup in 1947. The club is also known under the nickname The Addicks. 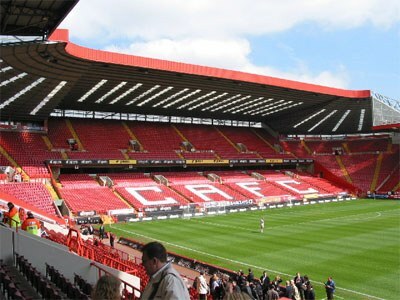 The famous north stand at The valley stadium in 2005. The club was founded in 1905 and has been a member of the Football League since 1921.